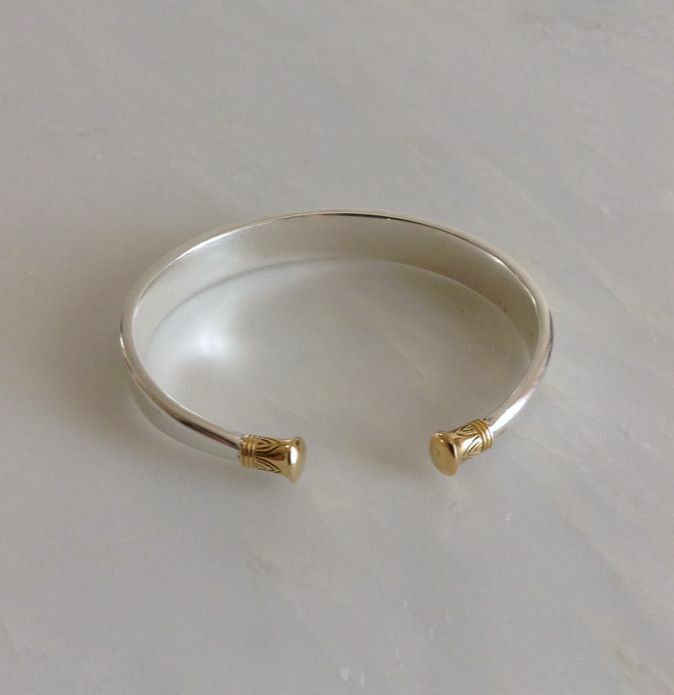 Fine silver bangle with 18ct gold lotus flower ends. 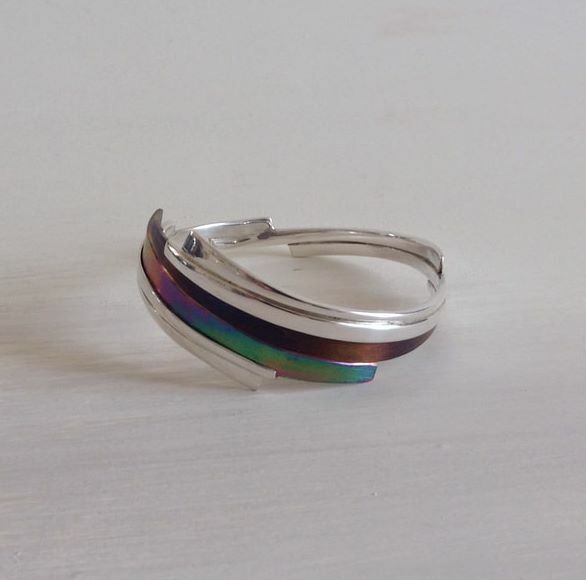 Sterling silver and titanium bands. 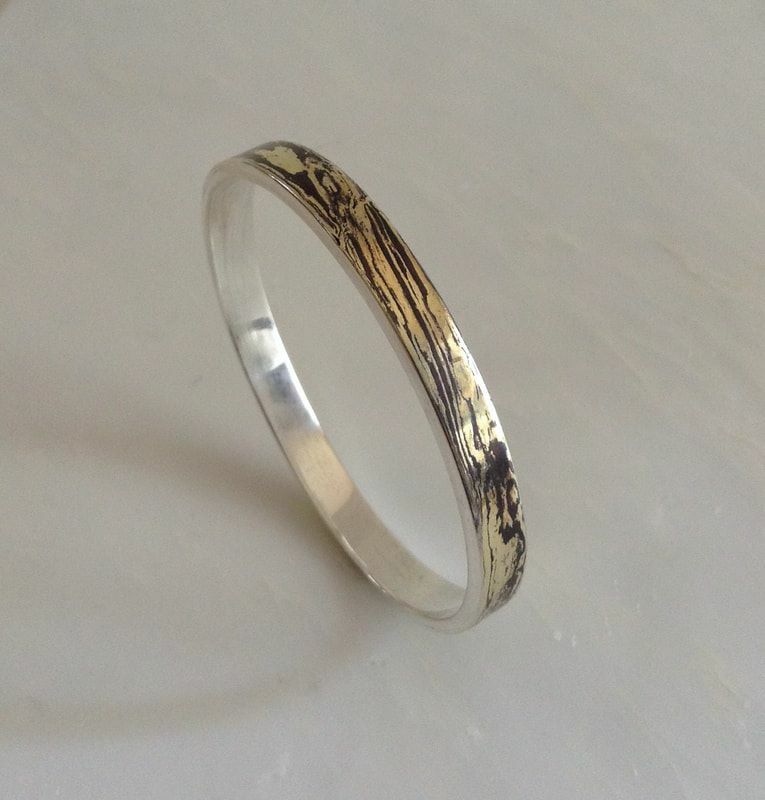 Fine silver bangle with gold and silver mokume gane finish.